This is our most exciting competition yet. Throughout 2016 we have been sharing great images of interior design and now we would like you to share with us what you love about your home at Christmas. 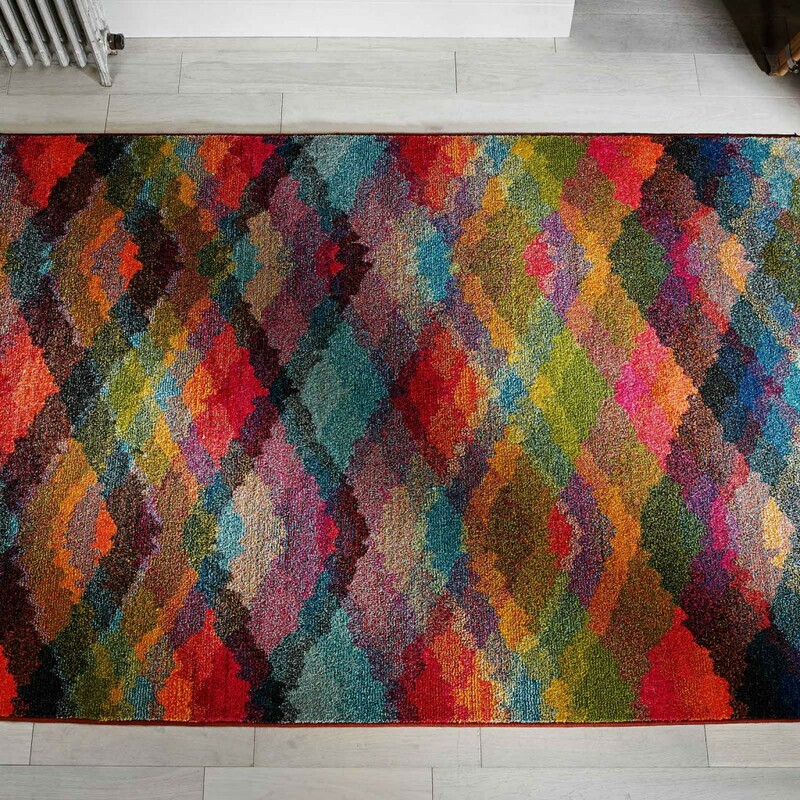 We are giving away a rug from one of our exciting and vibrant multi-coloured collections, Kaleidoscope. We will be judging the entries and selecting four finalist; a winner will chosen on Facebook by a vote. For inspiration; see all the current fantastic entries so far on our Pinterest page here. Disclaimer: THIS COMPETITION IS NOW CLOSED! For this competition, we’ve got a beautiful Kaleidoscope rug (160x235cm) from the Wilton series worth £169.00 to give away to one lucky winner! This rug has a stunning interlocking diamond design with a vast palette of colours showcased in a Kaleidoscope prism look. The contrasting darker blue and purple hues are brightened by the spring green and yellows that splash across this elegant rug that would easily change any room’s decor. Here at The Rug Seller, we’re mad on interior design. Christmas is a time where we transform our homes to celebrate this festive season. Then post it on Facebook. Be sure to use #TheRugSeller in the post so we can find your entry. The winner will be picked on New Year’s Eve, 31st December 2016….but not by us, by you. We will select the top 4 submissions and then it will be left a vote on Facebook. Share the competition with your friends & don’t miss out on the chance to win! The lucky winner will have a brand new, exciting rug to start 2017 with! This is my first Christmas in my new temporary appaerment after having to leave my home of 16 years due to injury. At the same time it has brought me close to my family and will be spending my first Christmas with my little grandchildren. The best gift I could ever have.